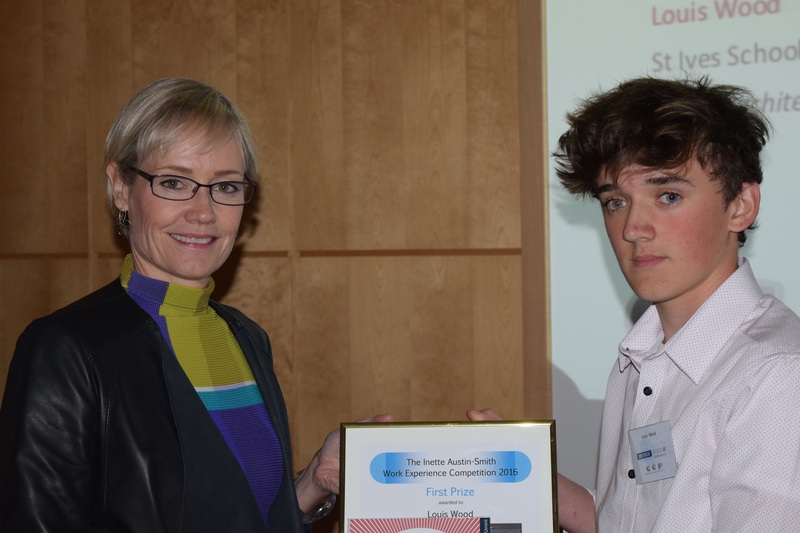 Some of Cornwall’s brightest and most talented young designers attended the Cornwall Architectural Trust’s Annual Lecture last week to receive their Work Experience Awards. The award ceremony preceded the lecture; this year delivered by acclaimed Canadian-born architect and past Stirling Prize winner Alison Brooks, and took place at Falmouth’s National Maritime Museum. For many years, Cornwall’s leading firms of architects have joined together to sponsor a design competition for schoolchildren undertaking work experience in their various offices. The 2016 project called for the design of an RNLI Beach Lifeguard Station. Over 40 designs were submitted and adjudication took place, for the first time, at Plymouth University’s School of Architecture with a panel made up of teaching staff and architects. So popular has the scheme become that it has drawn entries from Devon and beyond and plans are now emerging for it to expand to the whole South West Region of the Royal Institute of British Architects. Next articleYoung guns go for it!